Healthy and spicy sidedish with your hot parantha's. Marinate Cauliflower in mixture of curd and all dry spices and chopped cilantro and green chilies for 4-5 hrs. Heat 2 tsp. Canola / Veg oil in a non stick pan and add cumin seeds. Drop marinated cauliflower one by one and mix it slowly. If you don’t have oven, you cook in pan for 30 minutes and change the sides after 10 minutes. Garnish the fried cauliflower / gobhi with anardana and chopped cilantro and green chilies. Hi ! Chitra ...Great pic and thanx for the healthy recipe . 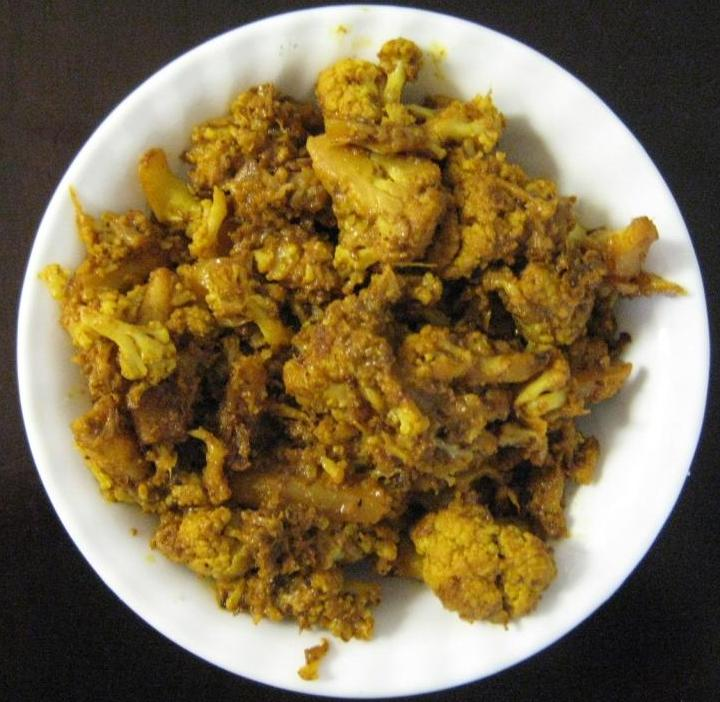 Cauliflower is a fabulous source of Vitamin C , Folate , Fiber and complex carbohydrates . Fights against harmful free radicals , boosts immunity and prevent from infections and Cancer . ma'am..it looks healthy and delicious..i'll definitely try it..thx a lot!